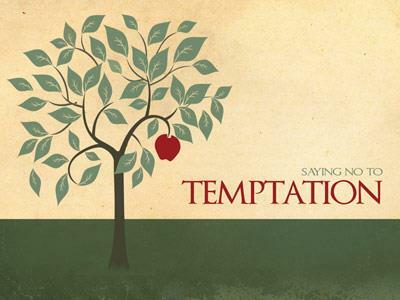 Summary: What helps us to stand and face our enemy in spiritual warfare? Shoes of peace and a shield of faith. Shoes for stability and shield for security. Intro: What is the secret to winning at spiritual warfare? 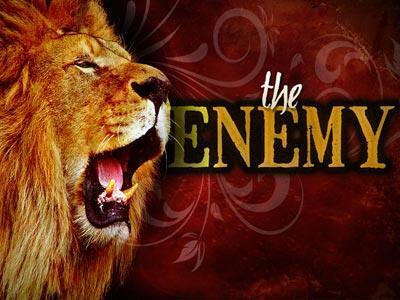 Does success in spiritual warfare come from knowing the enemy? Do we merely need to know what types of tactics we need to use? We must of course realize the reality of spiritual warfare. That life from beginning to end is a battle. What you must know is you are fighting either with God or with Satan. 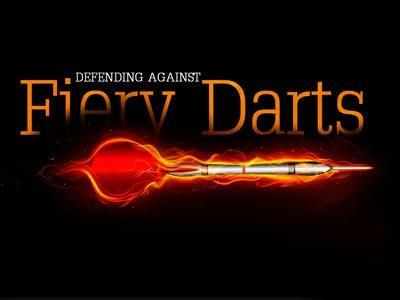 If Satan is not sending fiery darts in your direction it is probably because you are both headed the same way. The armor of God is defensive except for one piece. The sword of the Spirit is the only offensive weapon we have as a believer. The word of God is the sword of the Spirit. As we saw last week we spend more time digging in and resisting than we do attacking. Truth is what holds all of our armor together. It is the objective truth of Jesus as He is and what he does for us, subjective truth how we live the truth out in our daily lives. If you have trusted in Jesus’ finished work on the cross you are right with God and the breastplate of righteousness protects your heart from the tactics of the Devil. There is only one negative I can think of to living in America. Many though not all Americans have become accustom to a life of relative ease. Around the world people from all different races, countries, religions etc struggle not for a better job, not for a better home, not for a better car, but struggle for mere existence. Preachers have done many a disservice because to come to Christ is to truly begin a life of struggle. When you accept peace with God you fire a shot across the bow of the devil. Declaring dependence on God is an act of war to the enemy Satan. Know that Satan does not attack nominal Christians. Satan is limited in his power, in his knowledge, in his resources. The Devil has devices and tactics that can scare anyone and make tough battle tested Christians turn tail and run. What helps us stand? Having our feet prepared with the Gospel of Jesus Christ. The word translated peace here is where we get the name Irene. I ray’ nay. If we are to stand submitted to God and resist the devil we must have a firm foundation in the Gospel of peace. Roman soldiers wore shoes that had nails or spikes driven into the soles. Some of the sandals we see today that are woven of leather would be a close replica of the Roman soldiers footwear. However imagine them with 100 nails driven in the sole of the sandal. This provided the soldier with a very effective traction on the field of battle. Our reliable foothold in the spiritual field of battle is having our feet prepared with the Gospel of peace. In Christ peace is offered. The Prince of peaces makes us stable. It is the peace that Jesus had when he slept during a storm on the Sea of Galilee. It is the peace he offers when He said to the storm peace be still. It is the peace that He offers when we acknowledge we are at odds with God and recognize the Prince of peace and say I don’t want to fight any more. I have set you at one with God the father again, wholeness what you have been looking for all your life. God offers us stable footing in the spiritual warfare. However, what is the stark reality in our culture today? All around us we see social turmoil, and much if not all of it is due to people hungering for peace. For the wholeness that comes only from the Prince of peace. According to Ronald Hutchcraft, the Director of Youth for Christ in New York and New Jersey, in the next thirty minutes – 57 kids will run away from home, 20 children will attempt suicide. 22 girls under 19 years of age will receive an abortion. 14 teenage girls will give birth to an illegitimate baby. 685 teens will uses some form of narcotic. These are just a few of the staggering statistics that remind us we are engaged in an epic spiritual battle. Peace I give to you. The presence of God’s peace is practical it gives us a wholeness that doesn’t need things feel complete. His peace prepares us to face life not hungry but full. In the NT, the word for peace means “to reconcile or join.” Some missionary Bible translators were working very hard to find a word for peace in a particular tribal language. At last, a native who was working with them found a combination of words that captured the concept—“a heart that sits down.” When the heart sits down with Jesus—when we join with God through his Son—there is peace. What helps us to stand and face our enemy in spiritual warfare? Shoes of peace and a shield of faith. Shoes for stability and shield for security.